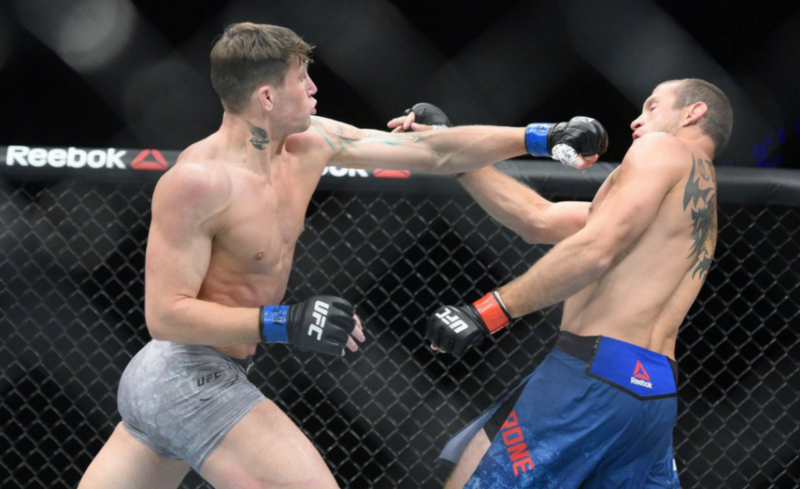 After an amazing performance from Darren Till, what’s next for the pride of Liverpool? Team Alpha Male came up huge with two away wins on this Poland card. 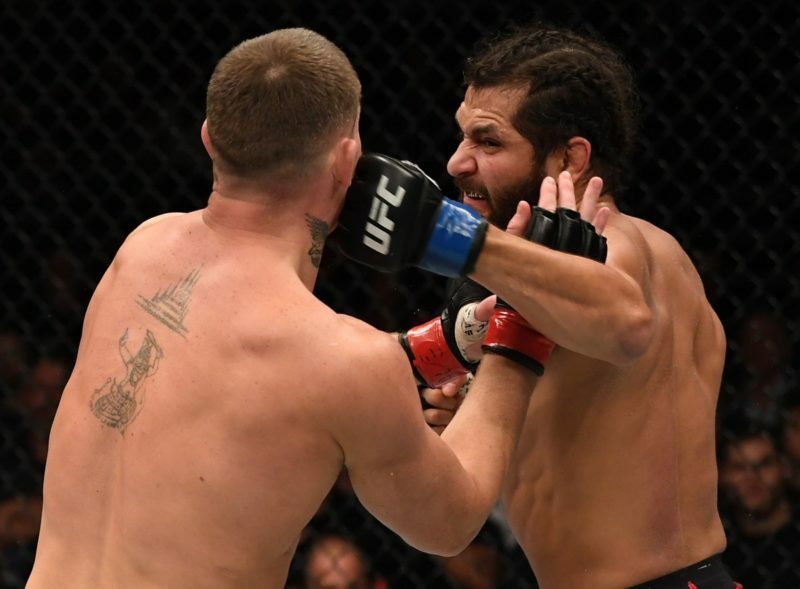 Sam Alvey slumps to 1-2 in his last three with a last minute fight. 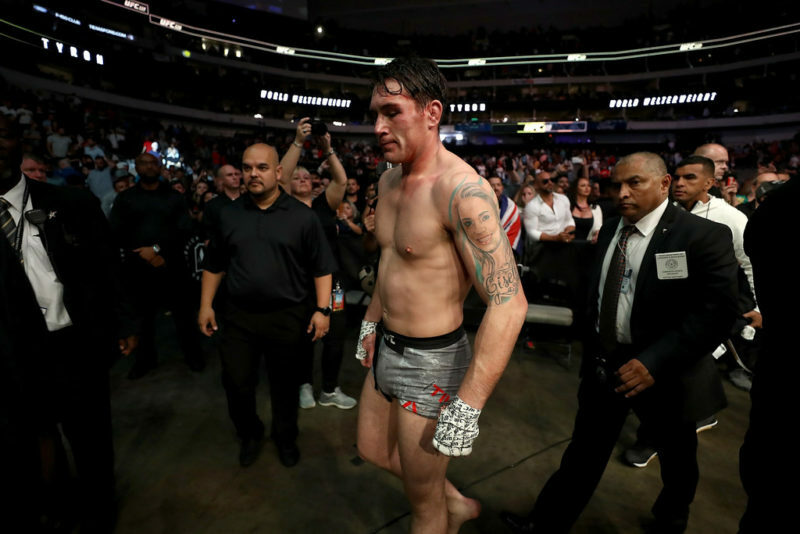 Darren Till pulled off a huge win in his masterclass striking performance over “Cowboy”. 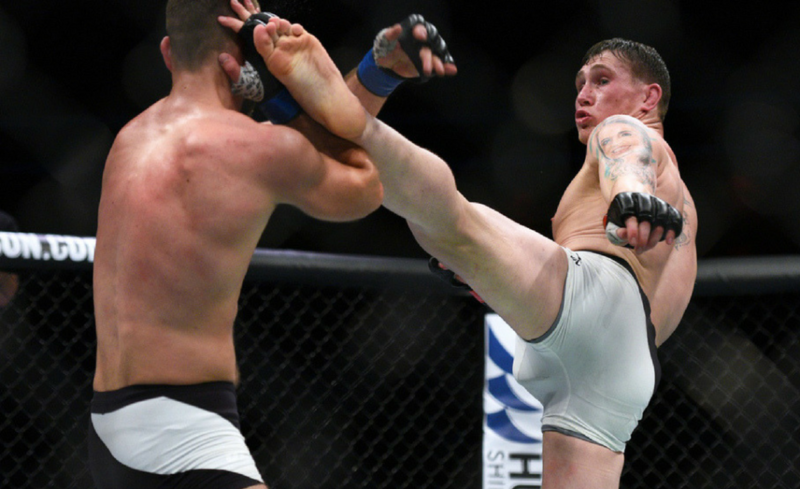 With more confidence than McGregor and slicker striking than Mike Perry, it’s safe to say we will be hearing Darren Till’s name for quite a while. The 24-year-old Liverpool native has made a case for himself at 170lbs. As his undefeated record continues, he will look to tack on the names to his list. This next fight is crucial to the real impact Till can have in this division. 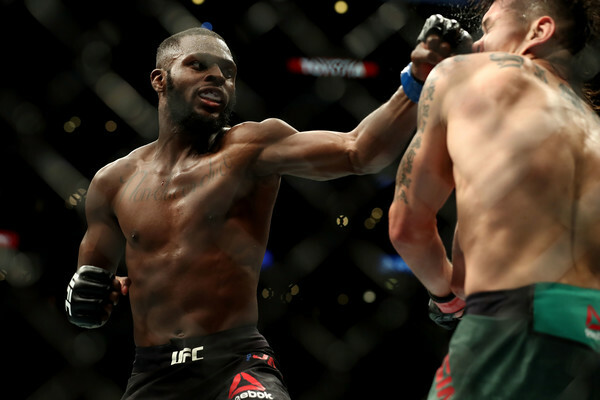 The loser of Ponzinibbio/Perry is a perfect option. 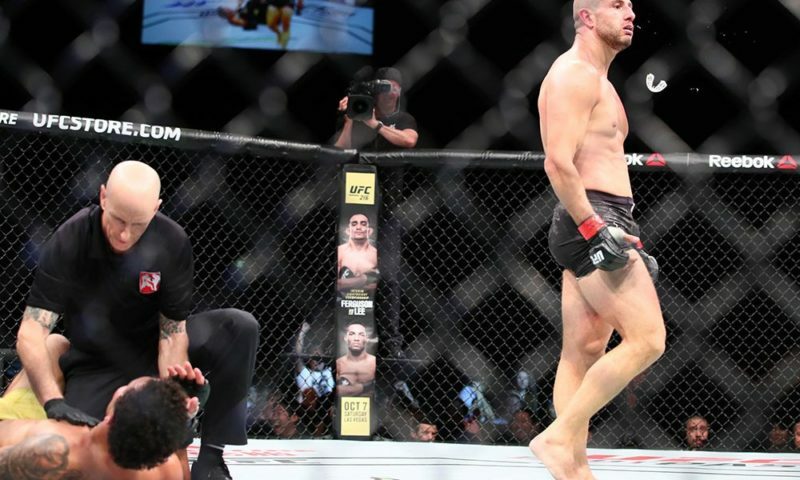 Donald Cerrone once again comes up short in a rushed main event that was simply too much to handle. Either way, much respect to Cowboy for taking his loss like a man and being game enough to risk his standings on the ladder. 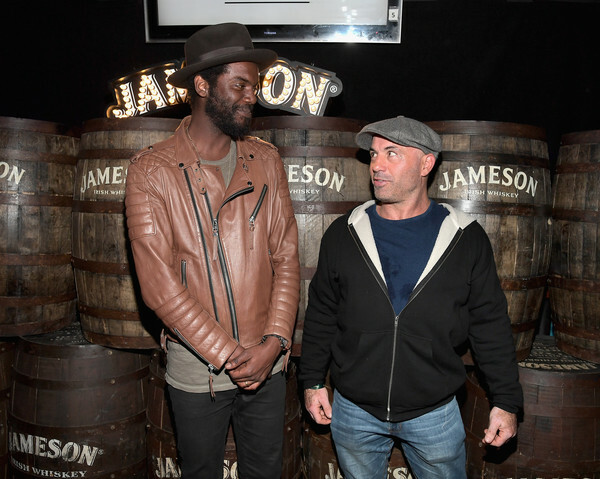 It’s obvious that this loss will be a wake-up call for Cerrone, and he won’t be taking fights all willy-nilly in the final years of his career. It’s not the time to sing a swan song yet for Cowboy, though. He’s a fighter with a lot of heart and passion for a sport that needs people from his walk of life. Once that nose heals, you can bet he will be game for his next opponent. 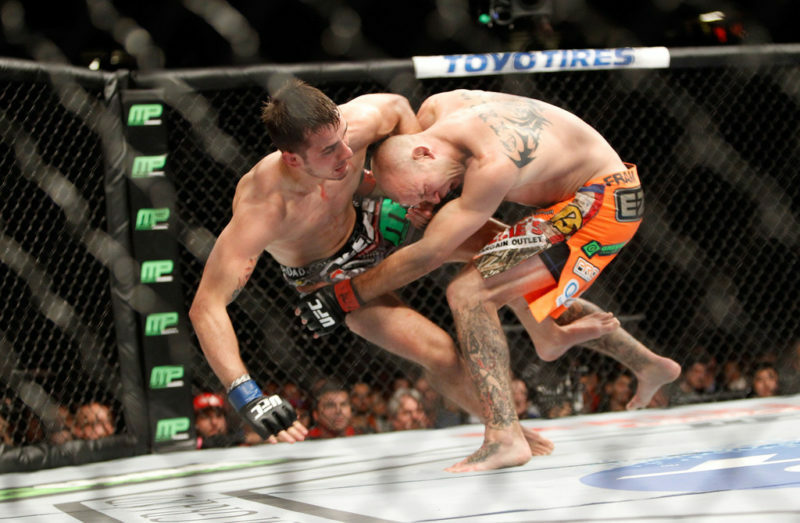 Bryan Barbarena would be a perfect opponent to challenge Cowboy while still keeping him sharp. Karolina Kowalkiewicz once again proves she’s more dangerous than a heart attack while still remaining as cute as a button. The Polish phenom enjoyed some well deserved love from her home crowd in an emotional victory. Kowalkiewicz went on to call out Jessica Andrade in the post-fight presser but that match-up seems a little out of reach given Andrade’s recent heroics. Once the great migration to flyweight takes place for all the top dogs at 115, Kowalkiewicz will most likely stay to rule strawweight with an iron fist. With that theory in place, the slow build for Karolina will be the best option. The winner of Calvillo/Esparza would be a massive test for her title ambitions. Jan Blachowicz was a man on a mission this past weekend with his snake-like finish of Devin Clark. The Polish national made his fans extremely proud as the home side was able to tack on another win. This latest win now brings him to 2-2 in his last four fights. The finish also guaranteed him some staying power as well. A fight with the winner of Collier/Fortuna seems like the next logical step. Oskar Piechota put on a clinic in his fight against Jonathan Wilson. His dexterity in the stand up, as well as the grappling, paid off as he was able to ride out a 30-27 unanimous decision on all cards. Looking forward there will be an emphasis on keeping that positive momentum with a good outing. Piechota has the capabilities to make waves at middleweight if he can continue to dominate at this level. The winner of Anders/Phillips would be a fantastic fight. Marcin Held finally got his long-awaited victory under the UFC banner. 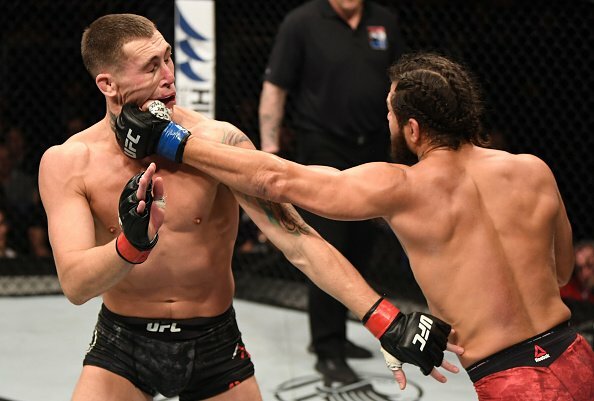 The polish international snaps a three-fight skid in a fight filled with many moments of mayhem as Haqparast did his best to keep the losses going. Taking one over a legitimate prospect like that will do good to keep the wind in his sails. Looking forward, Held will be wanting to change his 1-3 record in the UFC with expediency. Joe Ellenberger would be an interesting candidate to keep the fire going. Aside from Aspen Ladd, Nasrat Haqparast was easily the most impressive young gun to feature on this card. The heavy hitting German was swinging leather from the first bell as he looked for the highlight again and again vs. Held. Even though he kept the Polack guessing in the early rounds it wasn’t enough to stump the veteran. You can guarantee his next outing in the UFC will be met with the same level of intensity, if not more. A fight with the loser of Holtzman/Horcher would be a great test for the 24-year-old. 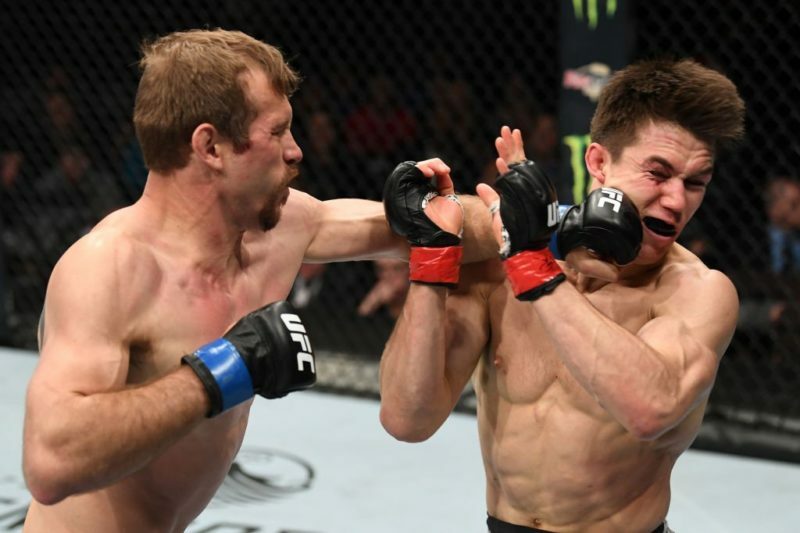 Brian Kelleher delivered a jam-packed 15 minutes of fighting as he was able to dismantle the resilient Stasiak late into the third. The Fight of the Night performance now brings his record to 2-1 within the UFC. Kelleher proved he has a mixed bag of strengths when it comes to his smooth grappling and lethal hands. A fun fighter with a propensity to thrill is just what the stacked bantamweight division needs. If Kelleher wants to really step up his profile on this stage, a fight with Cody Stamman makes that case. 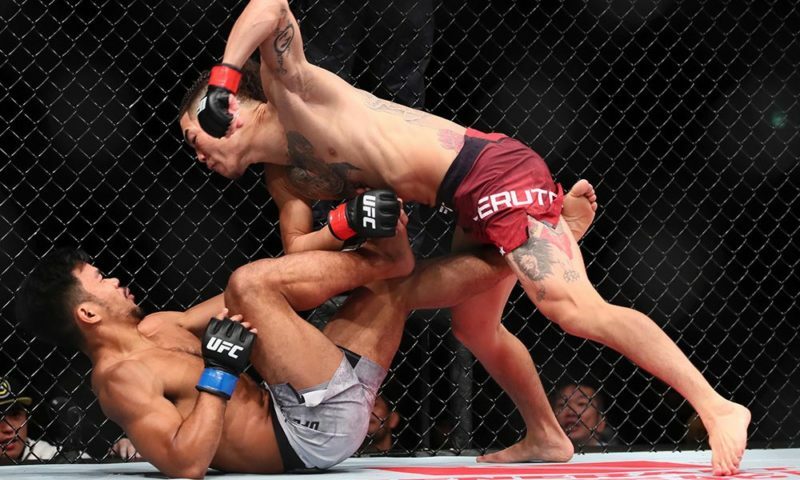 Andre Fili did the job for Team Alpha Male once again as he improves to 5-4 in the UFC and 17-5 overall. ‘Touchy’ Fili has been on a seesaw since his debut at featherweight, though. Some more consistency in his performances will help make his case as a future contender if he can sure up his weaknesses. Regardless of those factors, Fili still has plenty more to prove as a hungry competitor. A bout against Arnold Allen seems like just the right name to make Fili rise to the occasion. Warlley Alves proves he is no slouch after snapping a two-fight skid to tough competition in 2016. The Brazilian has enjoyed big wins over the likes of Nordine Taleb, Colby Covington, and Alan Jouban but still finds himself outside the top 15. Alves can keep his campaign for a ranked number going by streaking together wins. His 5-2 record within the UFC is nothing to be messed with, and he will surely look to turn on the heat with future opponents. Alves needs a contender to prove he’s really elite, a bout with Dong Hyun Kim or the winner of Mein/Silva would fit the bill. Little stories coming out of this UFC Fight Night 118 card are as promising as the one surrounding Aspen Ladd. The Invicta prospect continued her undefeated run as she picked up her first UFC win in spectacular fashion. Lina Lansberg is a veteran of the division and for the prospect to upset the order in such amazing fashion, it’s time to take note of the talent. Ladd will surely be looking to make her mark at bantamweight in a big way with more wins under her belt. She’s proven she can take on veterans and thrive, Cindy Dandois would be another game opponent. Josh Emmett looked brand new with his move to featherweight this past weekend. The frantic preliminary opener with Felipe Arantes was a great way to start the night. Emmett had an answer for everything that Arantes wanted to implement. His ability to stick the jab and stay off the ground with the Brazilian was ultimately the icing on the cake for a good win. 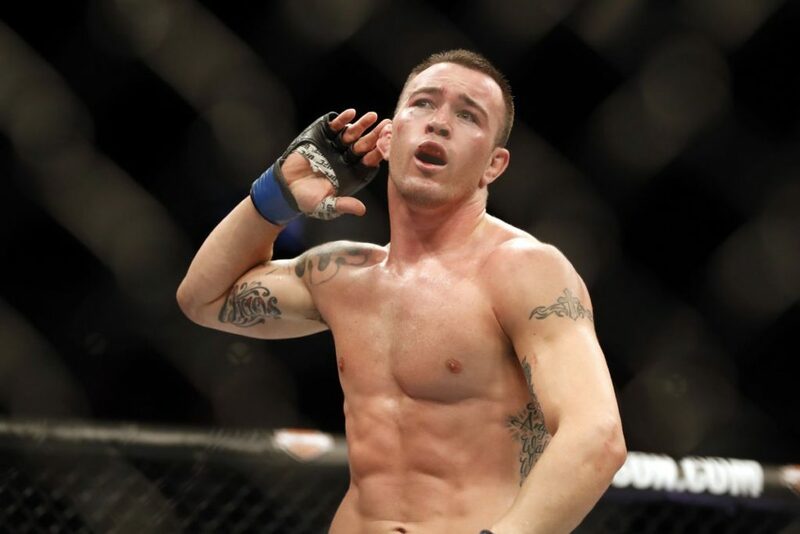 The former WCFC champion will look to compound off this latest win and make his move to 145 even more of a success. The winner of Dias/Gordon would be an integral challenge. It’s safe to say that we have now seen all there is to see when it comes to Lobov’s exploits within the UFC. The Russian Hammer has been the beneficiary of some high profile fights with no real reason to be in them. Even though he hung tough with Swanson, there is no denying the gap in skill between Lobov and a good chunk of the talent at featherweight right now. Andre Fili’s performance against him was the latest testament to that fact. Artem Lobov ever the self-promoter suggested being cut from the UFC to make room for a Paulie Malignaggi fight. In all honesty, that is the best route he can go as it seems even Lobov is ready to call curtains on a wishy-washy UFC career.